Dr Jengo's World: Some new Figures for my Collection. A small shipment of figures arrived a while back. A total of 5 figures.. The Mortal Kombat ones were on sale so I thought of getting those to check out the quality. 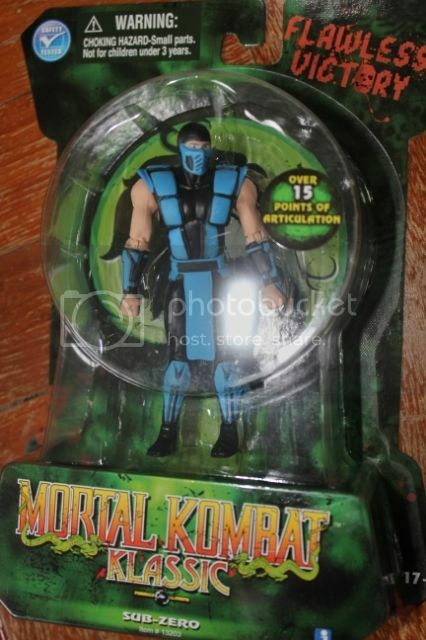 I have been wanting to get these Jazwares Mortal Kombat figures for quite a while but the quality hasn't impressed me. But I thought of giving them a try since they were cheap..
Hmm.. what do you guys think about these? To be honest, it's not really making me want more from this line. 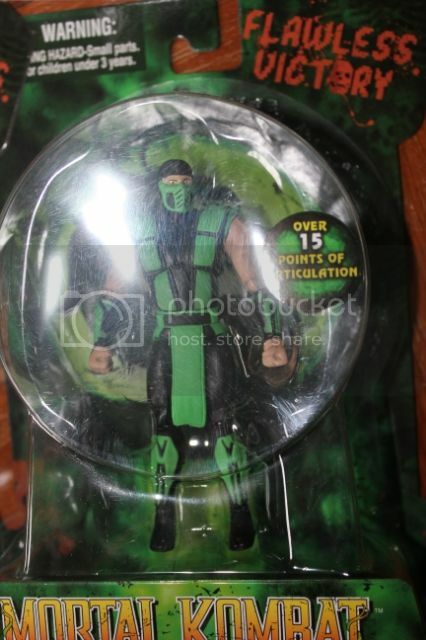 I didn't mind getting these because they were the original 3 ninjas of Mortal Kombat. 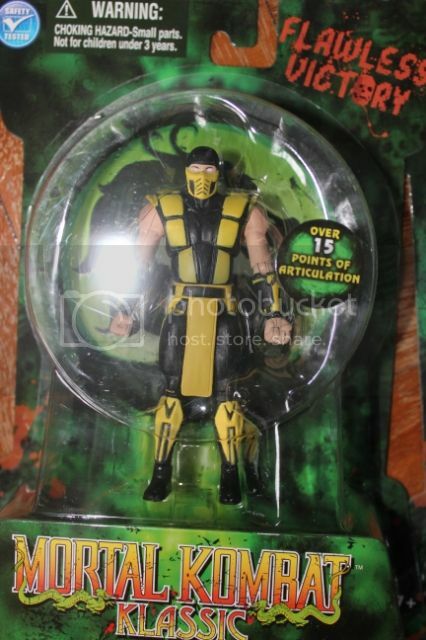 As much as I would like a full Mortal Kombat line of figures, this is just not cutting it. Besides, the line seems to have died... haven't seen anything new from them in a long time. 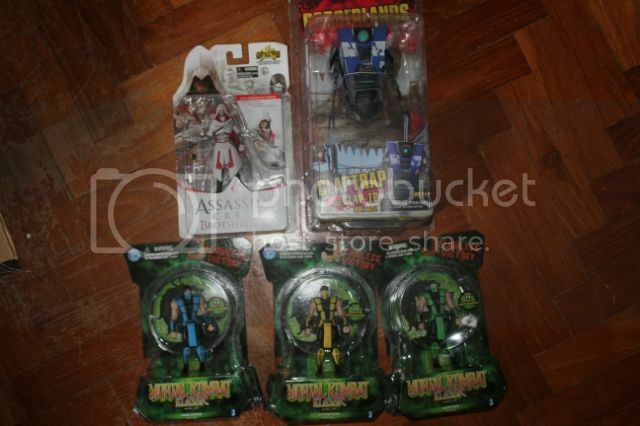 A lot of the figures shown in toy fairs haven't been released. 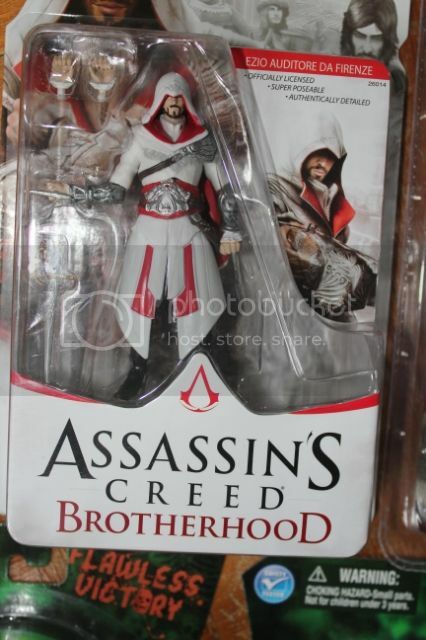 Also got this Assassin's Creed Brotherhood Ezio figure from Gamestars..
Been wanting to get this one for quite a while but didn't find it worth buying until a sale popped up. Another dead line.. some figures were schedule for release for the AC Revelations game but they didn't turn up and I haven't heard anything from this company ever since... Are they even still around? Either way, it was a nice addition to the Assassin's Creed figure shelf..
Lastly was this Borderlands Claptrap figure. Pretty cool figure of Claptrap. This guy cracks me up in Borderlands so it's kinda entertaining to see him on the table-top right now. He's bigger than I thought he would be, so that's awesome. 1 more variant coming up so will like to get that too. Awesome pickups! Especially love Claptrap :) I really need to pick him up too. Almost bought the Yellow version last year at Gamescom, but thought "nah, will just get it back in the UK", but still haven't gotten round to it, argh! Thanks V! 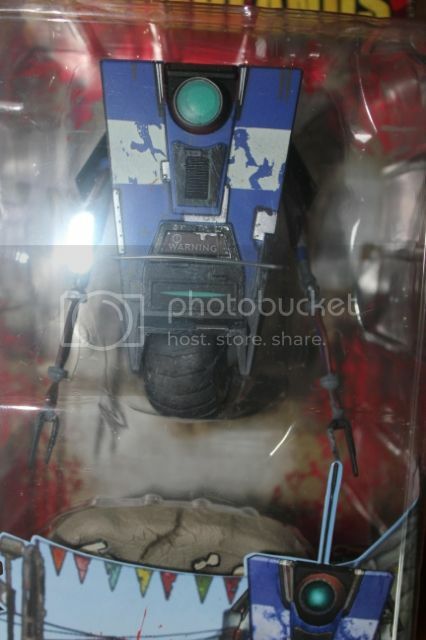 The blue Claptrap feels incomplete without the yellow one, I should go get it soon before the next one is released..